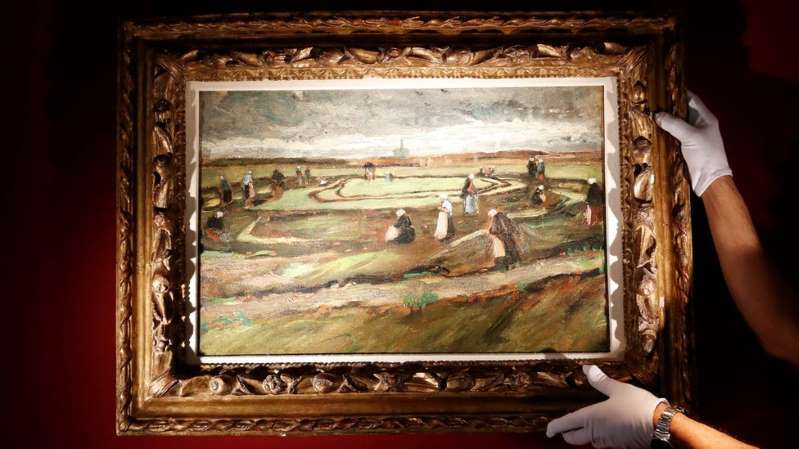 An early landscape painting by Vincent Van Gogh has sold for €7m (£6.2m; $8.3m) at an auction in Paris. It was bought by an American collector after a bidding war that pushed the price above its estimate of €3m-€5m. "It's fetched such a high price because there are hardly any Van Goghs on the market," said the auctioneer, Francis Briest. The last sale at a Paris auction of a Van Gogh painting was The Garden at Auvers, sold in the mid-1990s for $10m.